Repairing your Galaxy TAB 3 10.1 can be a costly exercise, but not at Phone Ninja. You can get your tablet repaired for a cheaper price, and with faster turnarounds than our competition. No matter which model of TAB 3 you have we can replace your smashed touch screen or LCD with high quality replacements for affordable prices. 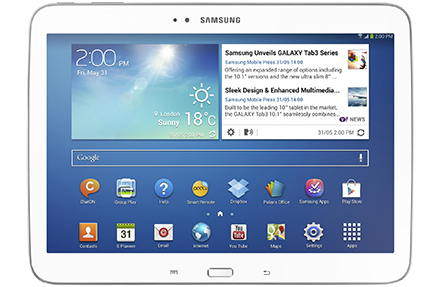 Of course we also offer many other TAB 3 repairs including software fixes. Visit our store or contact us to have your broken tablet repaired. SPECIALS: TAB 3 Fastest Service!